Townley Haas won gold at the Pan Pacific Championships in the 200-meter freestyle Thursday in Tokyo, Japan. The Texas senior’s time of 1 minute, 45.56 seconds was good enough to take the win and qualify to represent Team USA at the 2019 World Championships. Haas will also compete in the 400 and 100 freestyle races. 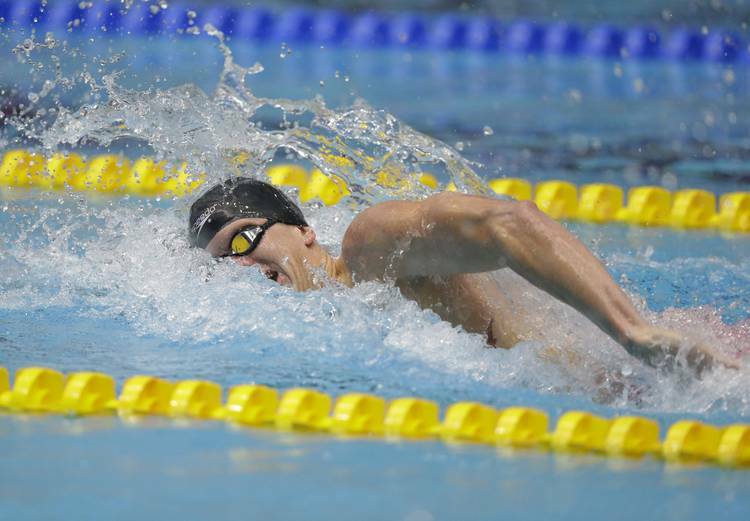 He is the fifth seed in the 400 freestyle and the 11th in the 100. Haas is a 2016 Olympic gold medalist in the 800-meter freestyle relay and took fifth in Rio in the 200. He’s the reigning three-time NCAA champion in the 200-yard freestyle. The Pan Pacific Championships continue through Aug. 14.